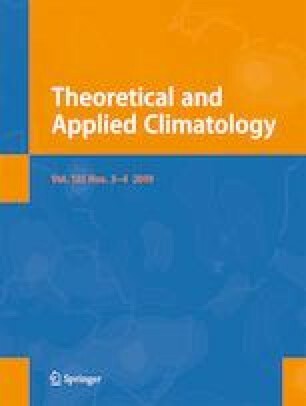 This paper evaluates the simulation performance of the 37 coupled models from the Coupled Model Intercomparison Project Phase 5 (CMIP5) with respect to the East Asian summer monsoon (EASM) and the Indo-Pacific warm pool and North Pacific Ocean dipole (IPOD) and also the interrelationships between them. The results show that the majority of the models are unable to accurately simulate the interannual variability and long-term trends of the EASM, and their simulations of the temporal and spatial variations of the IPOD are also limited. Further analysis showed that the correlation coefficients between the simulated and observed EASM index (EASMI) is proportional to those between the simulated and observed IPOD index (IPODI); that is, if the models have skills to simulate one of them then they will likely generate good simulations of another. Based on the above relationship, this paper proposes a conditional multi-model ensemble method (CMME) that eliminates those models without capability to simulate the IPOD and EASM when calculating the multi-model ensemble (MME). The analysis shows that, compared with the MME, this CMME method can significantly improve the simulations of the spatial and temporal variations of both the IPOD and EASM as well as their interrelationship, suggesting the potential for the CMME approach to be used in place of the MME method. This work is jointly supported by the National Natural Science Foundation of China (NSFC) Project (41530424, 41790474) and SOA International Cooperation Program on Global Change and Air-Sea Interactions (GASI-IPOVAI-03). We acknowledge the modeling groups listed in Table 1 for providing the model output for analysis, the WCRP’s WGCM for organizing the CMIP and the Earth System Grid Federation for supporting the model data archive (http://cmip-pcmdi.llnl.gov/cmip5). The ERSST v3b is obtained from the National Oceanic and Atmospheric Administration and can be downloaded from https://www.esrl.noaa.gov/psd/data/gridded/tables/sst.html.